In this series of four articles, Forbes features the Cartier Women’s Initiative Awards, an international competition offering financial help, professional coaching, and mentoring, as well as international networking and visibility to women and their enterprises. In this article, we focus on one of the most valuable aspects of participating in the competition—four months’ collaboration with professional coaches to build a business plan that works, often a key to opening the door to outside investor financing and to creating a solid strategic business roadmap. When you talk to the remarkable group of Cartier Women’s Initiative Award winners and finalists, they immediately reach for superlatives in discussing the coaching and mentoring they received in the program both before and after the competition. The systematic four-week program of coaching is comprised of intensive business plan preparation, business model development, as well as pitching and presentation skills. Winners then are entitled to a further full-year of high-level mentoring to support both business and personal development. Yet, past participants say, while the experience of having a professional coach on developing a business plan and presentation is crucial to chances of winning the competition, it is just as valuable in producing a solid roadmap for long-term business success. The coaching provided over four months to all 18 total finalists from six regions of the world– Latin America, North America, Europe, Sub-Saharan Africa, the Middle East & North Africa, and Asia-Pacific—is, in itself, a course that participants unanimously rate as one of the top features of the program. They say that it can transform general business strategies into detailed and powerful roadmaps for sustainable business success with social impact. That sort of assistance does not necessarily end with the competition. “I still work with my mentor,” says Ciara Clancy, a 2015 award winner from Ireland, whose company, Beats Medical, delivers sound wave treatment for Parkinson’s sufferers via a mobile phone application. 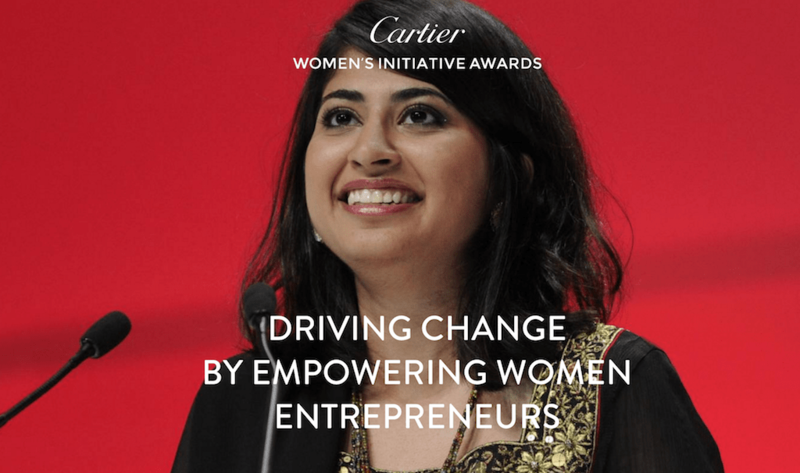 Find out more about how you can become a participant in the Cartier Women’s Initiative Awards program at https://www.cartierwomensinitiative.com/. Próximo postPróximo As P&G celebrates 180 years of innovation, what can brands learn from its innovative culture?